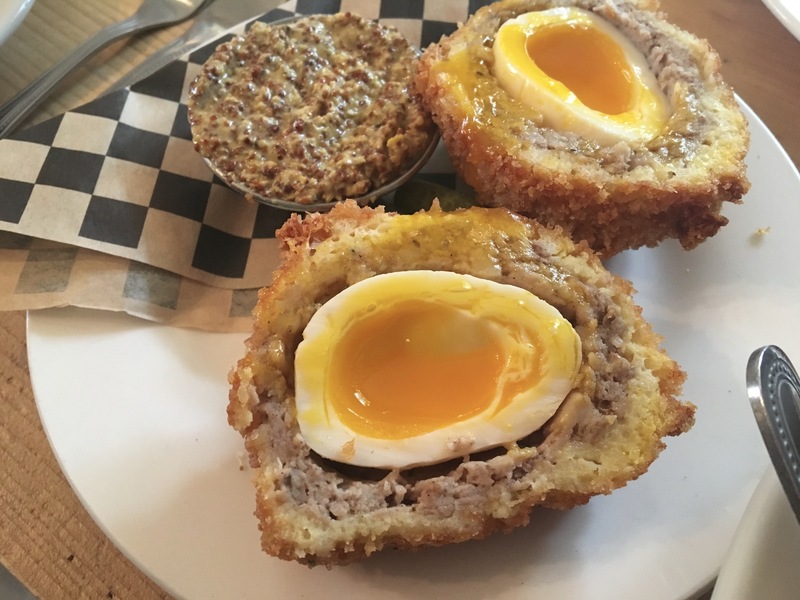 Behold, the Bull & Garland Scotch Egg. As a native Brit, I have to say, the egg couldn’t be any more authentic than if we were in England, at a pub, enjoying the rain and warm beer. I don’t know how they get the egg to be runny, but it’s a joy to see the hearty, local, orange yolks running over the warm sausage meat. The grainy mustard isn’t even necessary because the dish is delicious all by itself. This entry was posted in Food and tagged Catskill Mountains, Catskills, Catskills Photography, Country Living, I love NY, Upstate Life, Upstate Living, Upstate New York, Upstate NY on June 7, 2018 by JNUrbanski.